*This post contains some affiliate links and I may be compensated if you click on those links and make a purchase. 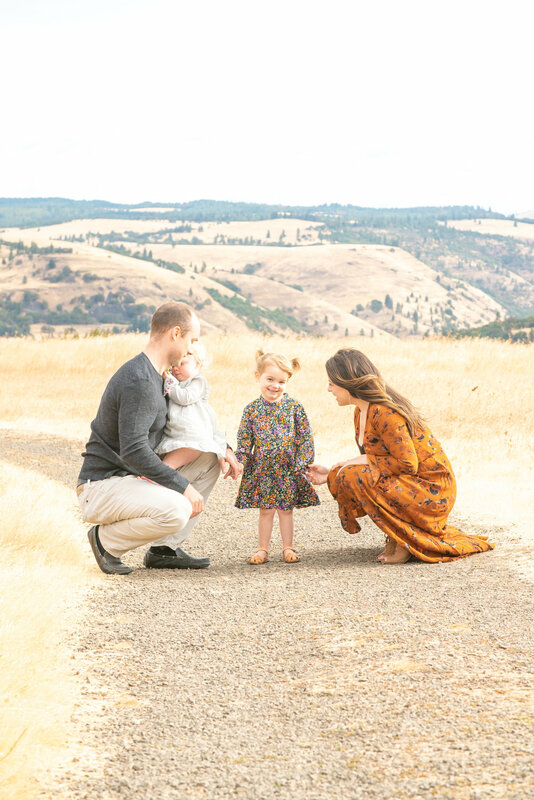 We’re only a few short years into life as a family of four, but the decision to spend a small chunk of change on professional family photos has been one with which I struggle. Mainly because I already take so many daily photos of the girls that I have more shots than I even know what to do with, but also because it’s hard to wrangle the two of them into a cohesive, smiley shot these days. So basically, it just feels risky to spend money on something that might be a total flop if the girls wake-up in less than ideal moods. Last year, I finally decided to take the dive and scheduled our first shoot. I figured since we didn’t do newborn shots with either girl and since there were very few shots of us together as a family, it was high time we get some professional ones done. We planned a home session, hedging our bets the girls - then one- and two-years-old - would cooperate best in their own domain. Prepping on the day of the shoot went about as well as expected with one toddler throwing nonstop tantrums, but the other a total angel (one out of two ain’t bad, I guess??). After our photographer left, I couldn’t imagine he captured anything but chaos and my strained let’s-just-survive-this-day face, but lo and behold just a week later he sent over a collection of the most candidly sweet and wonderful shots of our family and I realized capturing these moments, especially while our girls are so small and precious, is well worth the time, effort and money. Love how this dress flowed in the wind gusts and it was so comfortable too! 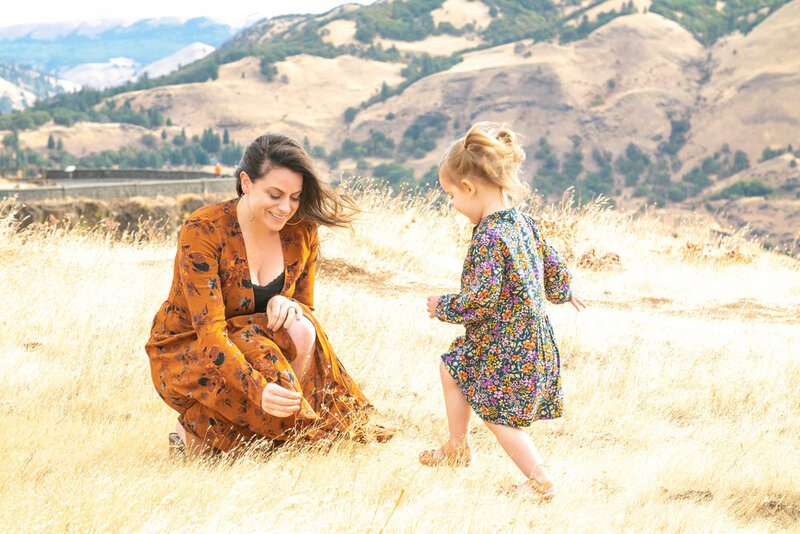 The girls’ dresses are no longer available, but I linked some similar ones below and pulled together a set of looks that would coordinate well for a family photoshoot with a similar backdrop. Every photo on its own was worth the cost of this shoot. I simply can’t count the number of times I’ve scrolled through them on my phone. This kind of beauty is not only incredible to have to look back on as the girls continue to grow year by year, but also on those rough days in parenthood when you’re feeling a little beat down by endless battles and need something to remind you to take a step back and breathe in the magic again.